Mara Bushtops Camp has been very pleased that many of their guests choose to be Pack for a Purpose travelers. These guests have looked at their project needs list on the Pack for a Purpose website and took supplies, which benefit the local communities where they operate! 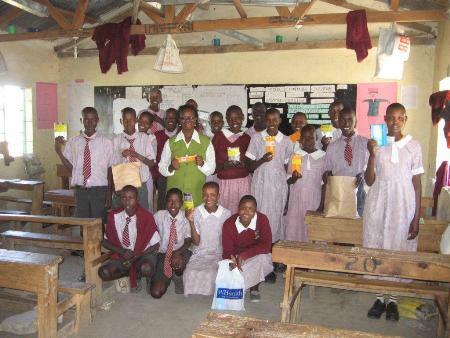 Serengeti Bushtops, the sister lodging in Tanzania, was also delighted to receive a very generous donation of school supplies from guests who had traveled all the way from Panama. These supplies were delivered to the Tamkiri Primary school which serves 600 children between the ages of 6 and 13 years old. The supplies will be given to the best performers in class as a way of motivating the children to work hard.